We’re in the front seat of a helicopter, thumping along 1500 feet above the foam-flecked waves of the Gulf of Mexico, when pilot Chuck Aaron does something you’re never supposed to do. He pulls back on the controls and just keeps pulling. When the helo’s nose rears up, I feel my body sinking into the seat as my heart crawls up my esophagus. We keep going until all I see is blue sky, then the line that separates it from the greener blue of the gulf. A little voice in my head is saying huuuunh? and the weight of an implausible yet true realization sweeps over me: The rotors are now below us, the landing skids above. We are flying upside down. There’s a reason why you should never, ever fly upside down in a helicopter: The rotors will bend toward the skids and cut off the tail and you’ll plummet to your death. Helicopter rotors are designed to handle a lot of flexion, because each blade has to bend up and down as it moves into and against the slipstream. In normal flight, the blades bend away from the cockpit. But if you fly upside down, they flex in the other direction, giving a whole new meaning to the word chopper. Aaron, a 63-year-old with a mane of golden hair and a bushy mustache fit for a circus ringmaster, knows all about this. He was a helicopter pilot and mechanic living in Camarillo, Calif., when he got a call from Red Bull in 2004. They’d heard that he’d assembled a U.S. Army attack helicopter from parts scrounged on the open market. They asked him: Could he build a helicopter capable of looping the loop? “No,” he told them. It was impossible. End of story. But Aaron kept mulling it over, and he thought that if you took the right kind of helicopter and modified it in just the right way, you might wind up with an aircraft that could fly upside down. Red Bull gave him the money, and he bought a pair of German BO-105 helicopters with rugged one-piece titanium rotor heads and four short, stiff composite blades. After a year of modifications—he refuses to reveal the engineering details—he took his helo up. Success did not come easily. For three months Aaron got to know the machine, testing its capabilities. But fear held him back. “I’d get vertical and I’d chicken out,” he says. “But over time I kept going a little bit farther, and one day I pulled that sucker up and as I got to my chicken point, I did one of those instant things where I said, ‘I’m going for it.’ I pulled it straight back and I did the loop. As soon as I saw the ground I was like, ‘I can get this!’ So I pulled out of that and I did it again. I didn’t want to forget how I did it. So I did it again and again—10 times.” From that first loop he expanded his repertoire of maneuvers, and today he’s the only civilian pilot in the U.S. licensed to perform aerobatics in a helicopter. It’s a cold morning in Pensacola, Fla., when I meet up with Aaron. A big air show starts tomorrow, and with the 20-mph winds, Aaron is debating whether to take part in the rehearsal. One time, he tells me, he almost killed himself trying to perform under similar conditions. This gives me pause, but Aaron assures me that we’ll be fine if we go out over the water and try a few maneuvers. So up we go. That doesn’t happen today, I’m pleased to report. Aaron once again pulls up into a climb, then startles me by rolling over to the left until our bodies are parallel to the horizon. He keeps rolling until we’re upside down, then brings us back up the other side. In a plane, the equivalent maneuver would be a mild trick called an aileron roll; in a helicopter, the procedure causes a disconcerting sensation, as if someone were holding you by your heels over the edge of a tall building. Next, Aaron pulls back on the stick and waits for his airspeed to bleed off until we’re nearly dead in the air. Then he pushes the stick forward. We’re floating in our seats in a low-altitude approximation of NASA’s Vomit Comet. A second later we’re toppling forward. As we fall straight down Aaron rotates us 180 degrees on a vertical axis so our track is like the stripe on a barber pole, then pulls back so we level out. Aaron keeps stringing together one maneuver after another: up, sideways, down—whoop! I’m starting to think about a barf bag as Aaron pulls out of a climb and turns us into the wind. He’s about to unleash the ultimate. He pulls back, and back, and back. I briefly have the sensation of climbing as the windshield fills with blue, and then the uncomfortable feeling of toppling backward, falling upside down, hanging in my straps, a blur of disorientation. The helicopter has pivoted, heels over head, from a standstill—like a swimmer doing a back flip off a diving board. Then we’re right side up again, barreling toward the shore below. My ears are filled with a piercing scream. It’s coming from my own throat. It’s a scream of pure, blind, mindless joy. I hope your life insurance was paid up! Talk about having full faith in a pilot! 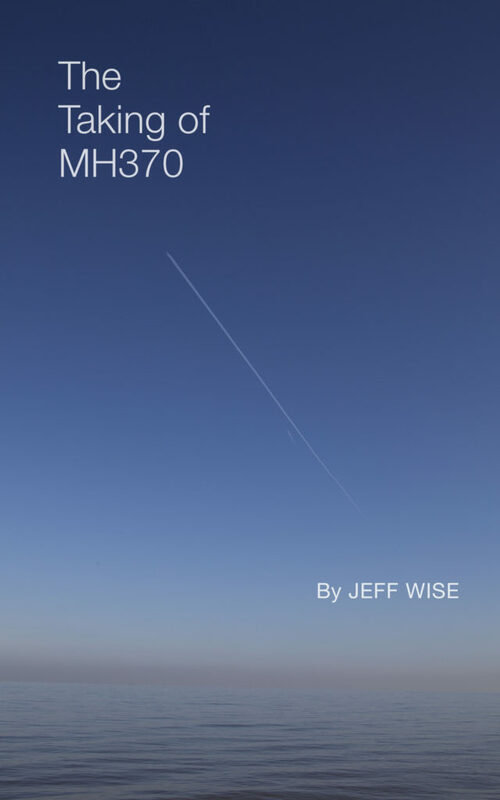 I really enjoyed reading the article as I imagined what it was like inside the helicopter doing flips and loops. The British Army Air Corps Display Team, the “Blue Eagles” have been performing this stunt for years in a Westland Lynx – a helecopter that still holds the world speed record! Mate, thoroughly enjoyed the article. cndidly speaking, I will never ever try this. In teh actual fact, I don’t even think of trying this sort of stunt. I’s rather read your articles and watch videos on YouTube. ha ha! It was fun reading this as I was imagining the whole stunt and it felt real. Nice one! Thanks! 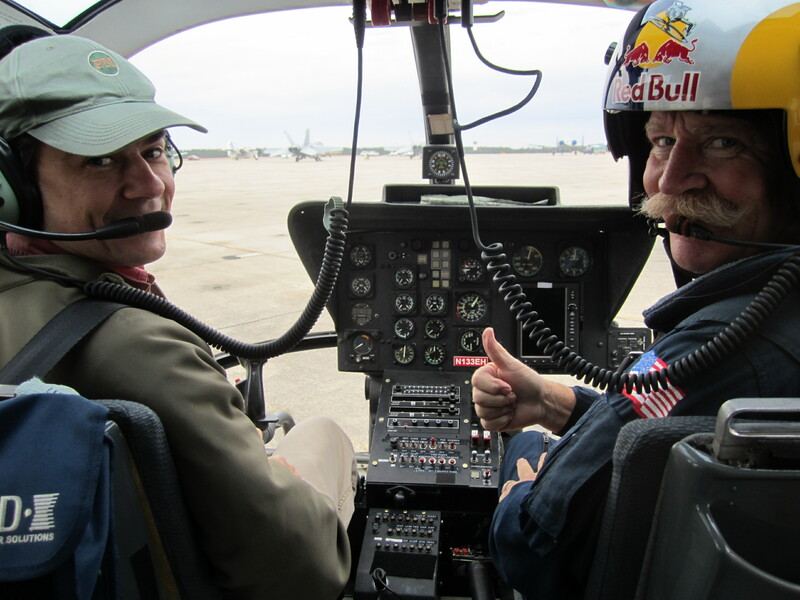 Last week, I did something that was way worse: I spent about 15 minutes as the front-seat passenger while Chuck Aaron’s Red Bull teammate, Kirby Chambliss, took me through some intense aerobatics. I’ll have the story and video in a couple of weeks. Really, it was all I could do to keep from barfing. My father first looped a Sikorsky Prototype, the S-52-1, multiple times back in 1949. I always get a kick when this topic comes up. He must have been quite a guy!